Officials in Seattle on Friday approved the nationâ€™s first â€œsafe-injectionâ€� sites for users of heroin and other illegal drugs, calling the move a drastic but necessary response to an epidemic of addiction that is claiming tens of thousands of lives each year. The sites â€” which offer addicts clean needles, medical supervision and quick access to drugs that reverse the effects of an overdose â€” have long been popular in Europe. Now, with the U.S. death toll rising, the idea is gaining traction in a number of American cities, including Boston, New York City and Ithaca, N.Y.
â€œThese sites save lives and that is our goal in Seattle/King County,â€� Seattle Mayor Ed Murray (D) said in a statement. Who guards the poppy fields? Good luck getting a semi-rational answer to any of those questions from a drug war advocate. Who guards the poppy fields? Who ships it in? Who launders the money? Harold Stirling Vanderbilt (July 6, 1884 â€“ July 4, 1970) was an American railroad executive, a champion yachtsman, an innovator and champion player of contract bridge, and a member of the Vanderbilt family. Welcome to The Old Beach Inn. This elegant bed and breakfast inn was built in 1879 during Newport's Gilded Age, and was once the home of the affluent physician, Dr. Steven Powell and his wife, Henrietta. Dr. Powell was a sea captain during the China Trade and oriental influences are evident throughout the house. For many years he served as the Commodore of the Newport Yacht Club. His love of the sea and sailing inspired him to name the house The Anchorage and if you look closely you might see the green anchor tucked into the highest peak of the house. Mrs. Powell was originally from New Haven and was the great-granddaughter of Noah Webster (of dictionary fame). Today their home has found new life as one of Newport's most gracious inns. By Nadia Pflaum on Monday, March 14th, 2016 at 1:24 p.m.
Ohio Sen. Rob Portman has been busy in Washington touting the Comprehensive Addiction Recovery Act in response to a shocking number of heroin overdoses in Ohio. Ohio ranks high on the list of states reeling from the national epidemic. In Montgomery County, which encompasses Dayton, Ohio, heroin-related deaths increased 225 percent between 2011 and 2015. Back in the 1970s, the heroin on U.S. streets was the "black tar" variety, and much of it came from southeast Asia. In 2010, 80 percent of the heroin in the world came from poppy fields in Afghanistan, according to the Office of National Drug Control Policy. So when Portman said that most of the heroin in America comes from Mexicoâ€™s border, we were skeptical. Mexico is the primary supplier of heroin to the United States. "Southeast Asia was once the dominant supplier of heroin in the United States, but Southeast Asian heroin is now rarely detected in U.S. markets," the report state. "Mexico and, to a lesser extent, Colombia dominate the U.S. heroin market, because of their proximity, established transportation and distribution infrastructure, and ability to satisfy U.S. heroin demand." The report also says that Mexican "transnational criminal organizations," (the DEAâ€™s term for drug-dealing gangs) "pose the greatest criminal drug threat to the United States; no other group is currently positioned to challenge them." The same thing was done in bringing down China. They had "opium dens." The stuff circulating is really bad. Had a nurse tell me that this isn't the same as '70s heroin. It's so purified that all it takes is a one time use to get somebody hooked. It's caused a crime wave. Somebody uses, gets desperate, starts stealing, keeps stealing. It's not just the addict. It affects everybody. VICE did a show on krokodil, a horrifying drug made from household chemicals and injected. That started in southern Russia because heroin was first introduced there, then dried up. The krok addicts know the only way out is death. Trump says he'll stop the drug trade and selling in America. Praise Be. All we can do is help the poor sufferers and prevent any future ones. Maybe kids should go and visit the safe spots and see what the drugs do to a person. There was a time in America -- people did not do drugs. America was so unreal compared to the rest of the world in terms of beauty and lovely life. America was in a position and it was the meme to bring up the rest of the world. nope, globalists wouldn't have any of that! Introduction of drugs to bring America down, like was done with China is what happened to our society. WASHINGTON, D.C. â€” Mexican transnational criminal organizations (TCOs) have significantly increased opium production and shifted their operations to expand heroin trafficking in recent years. The TCOs launched a concerted effort to make the illicit drug readily available to Americans as the number of heroin overdose deaths in the U.S. surge, reports the Drug Enforcement Agency (DEA). Americaâ€™s southern neighbor was also identified in the DEA report as the primary source of clandestinely-produced fentanyl, a synthetic opioid that is an estimated 80 to 100 times more potent than morphine, and 25 to 40 times stronger than heroin. Fentanyl, which is often added to heroin to increase its effects, has also been linked to hundreds of deaths in the United States in recent years. Mexican cartels are flooding the United States with heroin and opiates to keep pace with rising demand. InSight Crime takes a look at the trafficking and distribution of these drugs in New Mexico, one of the epicenters of heroin addiction. Seated at an upscale coffee shop in Albuquerque, sporting a baseball cap and a sweatsuit, Demian Rubalcaba recounted how his old dealers used to deliver doses of heroin. "They always had [the heroin] in these little colored balloons," he told InSight Crime. "They would get a grocery bag, cut a circle out of it, wrap the heroin in there, tie it up, put foil around it and put it in a balloon. They drive around all day with [the balloon] in their mouth. And that way if they get pulled over, they swallow it." Rubalcaba's story is far from unique. In New Mexico, heroin is both a historic problem -- dating back to the aftermath of the Vietnam War -- and one that has seen a recent revival as prescription drug users switch to a cheaper high. New Mexico has long had among the highest per capita drug overdose death rates in the country, a problem driven mainly by heroin and prescription opiate abuse. Want to stop the heroin epidemic? You know who opposes that idea? So next election day, rejoice over the fact that you can "choose" between voting (a) for the drug war or (b) for the drug war. In vices, the very essence of crime --- that is, the design to injure the person or property of another --- is wanting. Every voluntary act of a manâ€™s life is either virtuous or vicious. That is to say, it is either in accordance, or in conflict, with those natural laws of matter and mind, on which his physical, mental, and emotional health and well-being depend. In other words, every act of his life tends, on the whole, either to his happiness, or to his unhappiness. No single act in his whole existence is indifferent. To know what actions are virtuous, and what vicious --- in other words, to know what actions tend, on the whole, to happiness, and what to unhappiness --- in the case of each and every man, in each and all the conditions in which they may severally be placed, is the profoundest and most complex study to which the greatest human mind ever has been, or ever can be, directed. It is, nevertheless, the constant study to which each and every man --- the humblest in intellect as well as the greatest --- is necessarily driven by the desires and necessities of his own existence. It is also the study in which each and every person, from his cradle to his grave, must necessarily form his own conclusions; because no one else knows or feels, or can know or feel, as he knows and feels, the desires and necessities, the hopes, and fears, and impulses of his own nature, or the pressure of his own circumstances. It is not often possible to say of those acts that are called vices, that they really are vices, except in degree. That is, it is difficult to say of any actions, or courses of action, that are called vices, that they really would have been vices, if they had stopped short of a certain point. The question of virtue or vice, therefore, in all such cases, is a question of quantity and degree, and not of the intrinsic character of any single act, by itself. This fact adds to the difficulty, not to say the impossibility, of any oneâ€™s --- except each individual for himself --- drawing any accurate line, or anything like any accurate line, between virtue and vice; that is, of telling where virtue ends, and vice begins. And this is another reason why this whole question of virtue and vice should be left for each person to settle for himself. Vices are usually pleasurable, at least for the time being, and often do not disclose themselves as vices, by their effects, until after they have been practised for many years; perhaps for a lifetime. To many, perhaps most, of those who practise them, they do not disclose themselves as vices at all during life. Virtues, on the other band, often appear so harsh and rugged, they require the sacrifice of so much present happiness, at least, and the results, which alone prove them to be virtues, are often so distant and obscure, in fact, so absolutely invisible to the minds of many, especially of the young, that, from the very nature of things, there can be no universal, or even general, knowledge that they are virtues. In truth, the studies of profound philosophers have been expended --- if not wholly in vain, certainly with very small results --- in efforts to draw the lines between the virtues and the vices. If, then, it became so difficult, so nearly impossible, in most cases, to determine what is, and what is not, vice; and especially if it be so difficult, in nearly all cases, to determine where virtue ends, and vice begins; and if these questions, which no one can really and truly determine for anybody but himself, are not to be left free and open for experiment by all, each person is deprived of the highest of all his rights as a human being, to wit: his right to inquire, investigate, reason, try experiments, judge, and ascertain for himself, what is, to him, virtue, and what is, to him, vice; in other words: what, on the whole, conduces to his happiness, and what, on the whole, tends to his unhappiness. If this great right is not to be left free and open to all, then each manâ€™s whole right, as a reasoning human being, to" liberty and the pursuit of happiness," is denied him. We all come into the world in ignorance of ourselves, and of everything around us. By a fundamental law of our natures we are all constantly impelled by the desire of happiness, and the fear of pain. But we have everything to learn, as to what will give us happiness, and save us from pain. No two of us are wholly alike, either physically, mentally, or emotionally; or, consequently, in our physical, mental, or emotional requirements for the acquisition of happiness, and the avoidance of unhappiness. No one of us, therefore, can learn this indispensable lesson of happiness and unhappiness, of virtue and vice, for another. Each must learn it for himself. To learn it, he must be at liberty to try all experiments that commend themselves to his judgment. Some of his experiments succeed, and, because they succeed, are called virtues; others fail, and, because they fail, are called vices. He gathers wisdom as much from his failures as from his successes; from his so-called vices, as from his so-called virtues. Both are necessary to his acquisition of that knowledge --- of his own nature, and of the world around him, and of their adaptations or non-adaptations to each other --- which shall show him how happiness is acquired, and pain avoided. And, unless he can be permitted to try these experiments to his own satisfaction, he is restrained from the acquisition of knowledge, and, consequently, from pursuing the great purpose and duty of his life. A man is under no obligation to take anybodyâ€™s word, or yield to anybody's authority, on a matter so vital to himself, and in regard to which no one else has, or can have, any such interest as he. He cannot, if he would, safely rely upon the opinions of other men, because be finds that the opinions of other men do not agree. Certain actions, or courses of action, have been practised by many millions of men, through successive generations, and have been held by them to be, on the whole, conducive to happiness, and therefore virtuous. Other men, in other ages or countries, or under other condition, have held, as the result of their experience and observation, that these actions tended, on the whole, to unhappiness, and were therefore vicious. The question of virtue or vice, as already remarked in a previous section, has also been, in most minds, a question of degree; that is, of the extent to which certain actions should be carried; and not of the intrinsic character of any single act, by itself. The questions of virtue and vice have therefore been as various, and, in fact, as infinite, as the varieties of mind, body, and condition of the different individuals inhabiting the globe. And the experience of ages has left an infinite number of these questions unsettled. In fact, it can scarcely be said to have settled any of them. In the midst of this endless variety of opinion, what man, or what body of men, has the right to say, in regard to any particular action, or course of action, "We have tried this experiment, and determined every question involved in it? We have determined it, not only for ourselves, but for all others? And, as to all those who are weaker than we, we will coerce them to act in obedience to our conclusion? We will suffer no further experiment or inquiry by any one, and, consequently, no further acquisition of knowledge by anybody?" Who are the men who have the right to say this? Certainly there are none such. The men who really do say it, are either shameless impostors and tyrants, who would stop the progress of knowledge, and usurp absolute control over the minds and bodies of their fellow men; and are therefore to be resisted instantly, and to the last extent; or they are themselves too ignorant of their own weaknesses, and of their true relations to other men, to be entitled to any other consideration than sheer pity or contempt. We know, however, that there are such men as these in the world. Some of them attempt to exercise their power only within a small sphere, to wit, upon their children, their neighbors, their townsmen, and their countrymen. Others attempt to exercise it on a larger scale. For example, an old man at Rome, aided by a few subordinates, attempts to decide all questions of virtue and vice; that is, of truth or falsehood, especially in matters of religion. He claims to know and teach what religious ideas and practices are conducive, or fatal, to a manâ€™s happiness, not only in this world, but in that which is to come. He claims to be miraculously inspired for the performance of this work; thus virtually acknowledging, like a sensible man, that nothing short of miraculous inspiration would qualify him for it. This miraculous inspiration, however, has been ineffectual to enable him to settle more than a very few questions. The most important to which common mortals can attain, is an implicit belief in his (the popeâ€™s) infallibility! and, secondly, that the blackest vices of which they can be guilty are to believe and declare that he is only a man like the rest of them! If those persons, who fancy themselves gifted with both the power and the right to define and punish other menâ€™s vices, would but turn their thoughts inwardly, they would probably find that they have a great work to do at home; and that, when that shall have been completed, they will be little disposed to do more towards correcting the vices of others, than simply to give to others the results of their experience and observation. In this sphere their labors may possibly be useful; but, in the sphere of infallibility and coercion, they will probably, for well-known reasons, meet with even less success in the future than such men have met with in the past. It is now obvious, from the reasons already given, that government would be utterly impracticable, if it were to take cognizance of vices, and punish them as crimes. Every human being has his or her vices. Nearly all men have a great many. And they are of all kinds; physiological, mental, emotional; religious, social, commercial, industrial, economical, etc., etc. If government is to take cognizance of any of these vices, and punish them as crimes, then, to be consistent, it must take cognizance of all, and punish all impartially. The consequence would be, that everybody would be in prison for his or her vices. There would be no one left outside to lock the doors upon those within. In fact, courts enough could not be found to try the offenders, nor prisons enough built to hold them. All human industry in the acquisition of knowledge, and even in acquiring the means of subsistence, would be arrested: for we should all be under constant trial or imprisonment for our vices. But even if it were possible to imprison all the vicious, our knowledge of human nature tells us that, as a general rule, they would be far more vicious in prison than they ever have been out of it. FOR 14 of the 26 years I served with the New Jersey State Police, I worked undercover narcotics. On the job, I saw first-hand the addictive power of opiates. Yet I also came to understand that the destruction of whole communities did not primarily result from the use or misuse of those drugs. No, the damage came from people â€” cops â€” doing what I did: dragging buyers and sellers away from their families and slamming them into the criminal justice system, depriving both them and their neighborhoods of all hope. I witnessed people we disparagingly called â€œjunkiesâ€� dying with needles in their arms not because heroin is a poison but because the heroin was poisoned. I did more harm than good, and the harder my colleagues and I tried, the more damage we did. Heroinâ€™s status as a Schedule I illegal drug has ceded its control and distribution to the most unscrupulous and unregulated players among us with the predictably tragic results. Prohibition has completely failed to curb either supply or demand for opiates. It has not only failed to protect our young and vulnerable, but also cost many their lives â€” deaths from heroin overdose alone have increased ninefold since the drug war began. The whole family of opiates is dangerous, seductive, and addictive under the best of circumstances, but when the circumstances are defined by a destabilizing cat-and-mouse game for those in the thrall of addiction, those dangers are intensified. In my neck of the woods we've had an unprecedented number of overdoses in the past few years. They are finding people overdosing because of FENTANYL - not heroin. NEW HAMPSHIRE STATE POLICE FORENSIC LAB: On the left, a lethal dose of heroin; on the right, a lethal dose of fentanyl. The opioid crisis just keeps getting worse, in part because new types of drugs keep finding their way onto the streets. entanyl, heroinâ€™s synthetic cousin, is among the worst offenders. Itâ€™s deadly because itâ€™s so much stronger than heroin, as shown by the photograph above, which was taken at the New Hampshire State Police Forensic Laboratory. 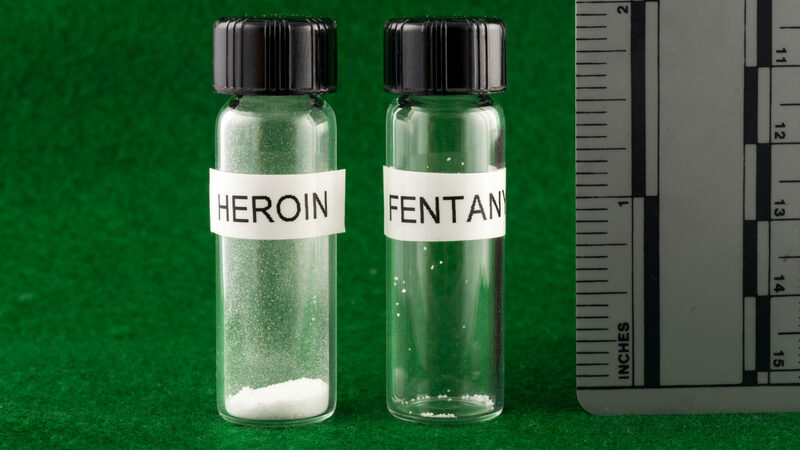 On the left is a lethal dose of heroin, equivalent to about 30 milligrams; on the right is a 3-milligram dose of fentanyl, enough to kill an average-sized adult male. Drugs users generally donâ€™t know when their heroin is laced with fentanyl, so when they inject their usual quantity of heroin, they can inadvertently take a deadly dose of the substance. In addition, while dealers try to include fentanyl to improve potency, their measuring equipment usually isnâ€™t fine-tuned enough to ensure they stay below the levels that could cause users to overdose. Plus, the fentanyl sold on the street is almost always made in a clandestine lab; it is less pure than the pharmaceutical version and thus its effect on the body can be more unpredictable. Fentanyl was originally used as an anesthetic. Then doctors realized how effective it was at relieving pain in small quantities and started using it for that purpose. In the hands of trained professionals â€” and with laboratory-grade equipment â€” fentanyl actually has a pretty wide therapeutic index, or range within which the drug is both effective and safe. The difference in strength between heroin and fentanyl arises from differences in their chemical structures. The chemicals in both bind to the mu opioid receptor in the brain. But fentanyl gets there faster than morphine â€” the almost-instantaneous byproduct when the body breaks down heroin â€” because it more easily passes through the fat that is plentiful in the brain. Fentanyl also hugs the receptor so tightly that a tiny amount is enough to start the molecular chain of events that instigates opioidsâ€™ effects on the body. This tighter affinity for the opioid receptor also means more naloxone â€” or Narcan â€” may be needed to combat a fentanyl overdose than a heroin overdose. llicit drug overdoses claimed the lives of 914 people in B.C. in 2016, the BC Coroners Service revealed Wednesday, making it the deadliest overdose year on record and representing an increase of nearly 80 per cent from the year before. December saw another spike in deaths with 142 recorded, up from the previous monthly high of 128 recorded in November of 2016. Fentanyl, an opioid 100 times more potent than heroin, has been a "game changer" for drug overdose deaths in B.C., said Chief Coroner Lisa Lapointe. "This is an illicit drug dependency crisis and it is not likely to be resolved anytime soon," she said. B.C. Health Minister Terry Lake announced more money for treatment beds and said the federal government needs to step up. "The federal government should declare a federal public health emergency," said Lake. "We haven't seen the response that I think this type of epidemic requires on a national scale." When prescription opioids started getting too difficult or too expensive to procure, people addicted to them started turning to heroinâ€“a shift thatâ€™s created an â€œepidemicâ€� of heroin use in whole new groups of people. Now, a new opioid is rising in use and overdose: Fentanyl, a synthetic opioid, is 50-100 times more potent than morphine, according to a recent statement on fentanyl by the Drug Enforcement Administration (DEA), and 25-50 times more potent than heroin. And its presence seems to be rising sharply, which means that, given its potency, deaths from the drug are also rising. In 2014, 18,000 people died of opioids, and another 8,000 from heroin. Itâ€™s not clear how many people are dying from fentanyl overdoses each day now, but the numbers are climbing sharply in pockets across the U.S. and Canada. Fentanyl is often, without the buyerâ€™s knowledge, mixed with heroin or cocaine, because itâ€™s cheaper than either of them, and much stronger. Here's what we know about why fentanyl is so powerful, in the body and as a new presence in society. What does fentanyl do in the brain? Thereâ€™s no difference in the way in which fentanyl works on the brain from any of the other opioidsâ€“it crosses the blood-brain barrier, just like they all do, and binds with the brainâ€™s μ-opioid receptors. From here, it creates analgesia and euphoria. This difference in fentanyl's potency is criticalâ€“it takes very little to have the same effect as other opioids. The reason so many are dying is because the dose is relatively uncontrolled with street fentanyl, and small excesses can lead to overdose. Thereâ€™s nothing inherently more dangerous about fentanyl than other opioids except the way it is dosed and sold. This should not suggest that the other opioids are not dangerous; they all are. Aside from producing an intense high quickly, Fentanyl also produces a number of other effectsâ€“nausea, vomiting, analgesia, sedation and respiratory depression among them, according to drugabuse.gov. And like other opioids, it causes death via respiratory arrest (oneâ€™s breathing slows to a stop), rather than cardiac arrest. â€œThe only thing killing you is respiratory depression,â€� says Nelson. â€œIf I took a few times the therapeutic dose of an opioid, my breathing would slow, and I might die in several hoursâ€“itâ€™s a slow spiral toward death. If you took 10 times the dose, you'd likely die, and if you took 100 times, you'd die immediately." Fentanyl is just a more rapid version of the same kind of death, from respiratory depression. And use of the drug, and of course overdoses, are rising in pockets around the country. Northern California just reported a spike in fentanyl-related deathsâ€“and 48 overdoses and 12 deaths since late March 2016 alone. In Philadelphia, there was a 300% rise in fentanyl deaths from 2013 to 2014. Young people are trying the drug, just like with heroin, but so are middle-aged people, either wittingly or unwittingly. The problem is that not everyone is going out to buy it intentionallyâ€“many are in the market for something else, but getting the drug cut with fentanyl. Or worse, only fentanyl. â€œIn Sacramento, itâ€™s not fentanyl being sold as heroin even, but itâ€™s being pressed into pill and sold as Norco [a combination of hydrocodone and acetaminophen],â€� says Nelson. â€œIf counterfeit pills are out there, it is a real problem given the large number of people who ingest rather than inject opioids.â€� Again, in some of these cases, thereâ€™s only fentanyl present, and none of the drug thatâ€™s being marketed. Long-term use of fentanyl is probably somewhat rarer than heroin or other opioids, just by virtue of the fact that itâ€™s so potent that the margin of error is quite small. â€œA milligram of a drug is a the size of a pinhead. A microgram is thousand times less than that,â€� says Nelson. â€œFentanyl is always mixed into something else. So youâ€™re putting a lot of trust in your dealer. If you make a batch with just a little more, then you see overdose increases in spots in city.â€� So there are a lot of ways in which the use of fentanyl can go wrong. The opioid crisis is raging, the costs to treat addicts are rising, the DPH pays most of the cost for an addict to enter long-term treatment, treatment programs don't have enough beds for people, the prison-industrial complex is booming with drug-related crimes sending people to jail, the PHARMA industry is BOOMING selling Methadone, Suboxone, and other drugs (life-time treatment in many cases) to help addicts stay off of the 'illegal' drugs, and become dependent on the LEGAL DRUGS. Seems like a business model at work here. Suggests drugs should be allowed to flow into U.S.
Former Secretary of Foreign Affairs Jorge CastaÃ±eda has called on Mexico to punish President Trump for his actions on deporting illegal immigrants and building a border wall by allowing criminal cartels to run drugs into the United States. CastaÃ±eda suggested that drug cartels could be unleashed on the U.S. as retribution for Trumpâ€™s aggressive stance towards Mexico. CastaÃ±eda is clearly suggesting that Mexican authorities could take a hands off approach to stopping drug traffickers as part of a revenge attack against Trump. From 2006-2010 alone, Mexican drug cartels killed around 34,000 people, and thatâ€™s just on the Mexican side. Those murders included gruesome ISIS-style beheadings and other grisly executions. CastaÃ±eda's political career began as a member of the Mexican Communist Party but he has since moved [ infiltrated] to the political center. He served as an advisor to CuauhtÃ©moc CÃ¡rdenas during his (failed) presidential campaign in 1988 and advised Vicente Fox during his (successful) presidential campaign in 2000. I wasn't aware the CIA needed Mexico's permission to ship drugs into the U.S.
Escalate the CIA-approved drug war even more (in the name of "liberty")? Is it not enough that we already lock up more of our own people than any other nation on the planet? So then what's the solution? Escalate the CIA-approved drug war even more (in the name of "liberty")? "My fellow Americans, I can't do this alone. So I call on all of you to exert non-stop pressure on Congress to (a) abolish the CIA and (b) pass the National Emergency Employment Defense Act." Fentanyl, the extremely potent opioid that Prince overdosed on, has now become a linchpin of drug cartels across Mexico due to its extreme profitability, The New York Times reports. The United States has an insatiable demand for opioids in the 21st century, including heroin, oxycontin and other prescription drugs, with unintentional overdose deaths quadrupling since 1999.
â€œHowever, what makes fentanyl more dangerous than typical opioids is its potency. It is 50 times more potent than heroin and 100 more than morphine and is highly addictive. It is not like any other drug â€” it crosses the blood-brain barrier more quickly and has a very rapid onset of action, making it more prone to habit forming and more prone to abuse than other prescription opioids,â€� said Dr. Caleb Alexander, co-director of the Johns Hopkins Center for Drug Safety and Effectiveness. Originally created as a painkiller for cancer patients, the drug is now being manufactured in a synthetic form, instead of a purer pharmaceutical form, in Mexican drug labs. Primarily sourced from Mexico, the synthetic version of fentanyl is trafficked across the U.S. border. It is often mixed with heroin and distributed in local American drug markets, making it even more insidious because many heroin users are unaware of the presence of the highly fatal fentanyl in their drugs. Manufacturing fentanyl synthetically is much more inexpensive and efficient than having to find and grow opium poppies to produce the drug. Because of the drugâ€™s potency, only a few micrograms â€” which, if ingested purely, would result in death â€” are needed turn a profit on the market. According to The New York Times, one pure gram of fentanyl can be diluted and cut with other agents to produce 16 to 24 kilograms of product. The following eight congressmen KNOW about secret CIA drug smuggling and have given it a big thumbs up. They APPROVE of the importation of heroin into the US. [1/31/17] VICKI BATTSâ€“ It is no secret that corruption is an industry-wide problem when it comes to pharmaceuticals. But now, it seems that corruption has taken an even more sinister twist. As the number of Americans overdosing on Big Pharmaâ€™s golden ticket â€” the opioid painkiller â€” continues to increase, it seems that one pharma company has taken it upon themselves to increase the cost of the antidote by more than six-fold. In other words, the industry is raising the cost of a drug that is used to treat a problem that the industry itself created. How cunning. Big Pharma is known for drastically raising the price of much-needed drugs. Martin Shkreli notoriously increased the price of valuable AIDS medication by an astonishing 5,000 percent. Mylan raised the price of the EpiPen to over $600; a staggering increase for drug with relatively cheap ingredients. Now a Virgina-based company, Kaleo, is raising the price of an injector device that is used to deliver a life-saving drug as the opioid epidemic reaches its peak. The device, called Evzio, is used to administer naloxone â€” the antidote used to treat opioid overdoses. Itâ€™s been estimated that over the course of 2015 alone, more than 33,000 people died from opioid overdoses. Deaths continued to skyrocket in 2016, as well. Ironically, the creators of Evzio â€” Eric and Evan Edwards â€” claim that their initial aspirations were to become a competitor of the EpiPen. Now, their company is following in the footsteps of the EpiPenâ€™s current patent-holder, Mylan, by drastically raising the price of their product by a huge amount. The brothers have even said that they were inspired to create an EpiPen product due to their own food allergies. Youâ€™d think that because of their own experiences, theyâ€™d be less inclined to so obviously price-gouge their products for profit, but apparently the temptation to cash in on other peopleâ€™s suffering is too great to pass up. Evzio is a talking device â€” which its creators say justifies the price. And naloxone is not a particularly cheap drug; 10mL of it costs approximately $150. But is the $4,500 price tag really justifiable when just over two years ago, the same product cost less than $700? Experts say that there is no explanation for the jaw-dropping increase in price. ESCONDIDO, Calif.â€”U.S. Border Patrol agents arrested two men on Tuesday afternoon for smuggling more than $3 million dollars that was being transported in separate vehicles traveling in North County. Under cover of darkness in the northern desert, a tramp Caravelle 727 set down hard on the sand 30 miles outside Hermosillo a few minutes past midnight last March 11. On board were 2.5 tons of Colombian cocaine. But the equally important mission was to pick up money, possibly several tons of $5, $10 and $20 bills totaling as much as $20 million in proceeds from street corner drug sales in the United States that were to be brought back to Colombia. When the wheels of the old jet got mired in the desert sand, the mission was scuttled. The money, the crew and the cocaine disappeared. On April 17, police agents at Benito Juarez International Airport here opened 12 boxes containing new air conditioners bound for Bogota, Colombia. Stuffed inside the Arctic Air window units was $6.2 million in small American bills. These incidents were signs of a major new problem facing Latin American drug lords: how to smuggle tons of dollars home, a task that is in some ways even more daunting than smuggling cocaine into the United States. For many years, the cartels relied on financial wizards and manipulation of the banking system to send much of their drug profits home electronically. Under Mexican law, the banks and exchange houses do not have to report large transactions -- as they would in the United States -- and no one knows for certain what goes where. And money-laundering is not a criminal offense in Mexico, but a tax violation. heard testimony from physicians and public health advocates about concerns related to synthetic opioids, such as fentanyl. Fentanyl = 100x more potent than morphine. Fentanyl (also known as fentanil) is a potent, synthetic opioid pain medication with a rapid onset and short duration of action. It is a potent agonist at the μ-opioid receptors. Fentanyl is 50 to 100 times more potent than morphine. Fentanyl was first made by Paul Janssen in 1960, following the medical inception of pethidine (also known as meperidine, marketed as Demerol) several years earlier. Janssen developed fentanyl by assaying analogues of the structurally related drug pethidine for opioid activity. The widespread use of fentanyl triggered the production of fentanyl citrate (the salt formed by combining fentanyl and citric acid in a 1:1 stoichiometric ratio), which entered medical use as a general anaesthetic under the trade name Sublimaze in the 1960s. Following this, many other fentanyl analogues were developed and introduced into medical practice, including sufentanil, alfentanil, remifentanil, and lofentanil. Sufentanil = 500x more potent than morphine. Sufentanil (R30730, brand name Sufenta) is a synthetic opioid analgesic drug approximately five to 10 times more potent than its parent drug, fentanyl, and 500 times as potent as morphine. Structurally, sufentanil differs from fentanyl through the addition of a methoxymethyl group on the piperidine ring (which is believed to reduce duration of action), and the replacement of the phenyl ring by thiophene. Sufentanil first was synthesized at Janssen Pharmaceutica in 1974. Carfentanil or carfentanyl (also known as 4-carbomethoxyfentanyl) is an analog of the synthetic opioid analgesic fentanyl. It is 10,000 times more potent than morphine, making it among the most potent commercially used opioids. Carfentanil was first synthesized in 1974 by a team of chemists at Janssen Pharmaceutica which included Paul Janssen. It is marketed under the trade name Wildnil as a general anaesthetic agent for large animals. Side effects of carfentanil are similar to those of fentanyl, which include itching, nausea and respiratory depression, which can be life-threatening. Fentanyl analogs have killed hundreds of people throughout Europe and the former Soviet republics since the most recent resurgence in use began in Estonia in the early 2000s, and novel derivatives continue to appear. Carfentanil is classified as Schedule II under the Controlled Substances Act in the United States with a DEA ACSCN of 9743 and a 2016 annual aggregate manufacturing quota of 19 grams. The drug known as Pink is nearly eight times more powerful than heroin and is being connected to several deaths nationwide. Known to chemists as U-47700, the deadly synthetic opioid is easily purchased online and shipped to just about anyone. The Drug Enforcement Administration (â€œDEAâ€�) announced September 7, 2016 that it intends to temporarily schedule the synthetic opioid known as U-47700 on Schedule I of the federal Controlled Substances Act because it poses an imminent hazard to the public safety. A final scheduling order will be made on or after October 7, 2016. Schedule I drugs are drugs that have a high potential for abuse, no currently accepted medical use in treatment in the U.S., and a lack of accepted safety for use under medical supervision. The Golden Triangle..A guy I knew, Sgt. Paul Withers, green beret was posted TDY to laos, his mission was protecting an clandestine airstrip. He lived with the tribe that processed the poppy into tar/opium.. The Agency would fly in, pick up the goods and from what he heard ( only scuttlebut)it was then sent to Belguim for processing. & We all know the Afghanistan opium production went through the roof after the invasion, 60% growth..
& YES, bigpharma is rocking, not only do they produce opiates, they sell meds to counteract the drugs, it has been said on a post the cost of the trigger drug to save a human rose 600%.. If a product creates addiction, drugs, the parasites will own it. To end, if a human needs lifesaving medicine, it is a money machine for Bigpharma. Trump has said he is looking into this, finally a tad of justice/ integritty is being shown. Cartels boost profits as painkiller supplies tighten up. On a drizzly May afternoon, a man in gray sweatpants and a black Bengals hoodie sold a half-gram of heroin for $70 inside a dingy market on the west side of Cincinnati. The buyer was a plainclothes police officer; the seller was promptly handcuffed. The bust was the first of two that a team of local police would make that Thursday and one of several heroin-related cases to cross their radios: Three people overdosed, and another was caught driving under the influence. Compared with some days in their district, it was pretty slow. Cartels have begun lacing heroin with synthetic opioids including fentanyl, making a dose more addictive and cheaper to produce. Overdose reversal shots are helping addicts survive, often to use again, giving dealers a steady supply of repeat customers. With persistent demand and increasingly wide profit margins, 2017 is shaping up as the most profitable year ever for the U.S. heroin trade. The bottom line: As states and doctors make it tougher to get prescription opioids, drug cartels are making big profits selling heroin to addicts. Beware guys and ladies. My brother was on heroin. Hi Al,,I hope your bro is doing OK. Thanks to God. He have 2 children. Chris, thank you for asking. Several men with guns drawn stormed into the house. The target of the incident Dec. 7 was Torculas' mother â€” an admitted dealer of shabu, the local name for crystal meth. Torculas' girlfriend, Chilotte Flaviano, took their five kids into the bedroom. She heard loud voices, then gunfire. Torculas, 27, died, struck by eight bullets on the street. Police said he fired first, but Flaviano insisted Torculas didn't own a gun. His mother was arrested. Similar scenes have played out here and in other cities under President Rodrigo Duterte's controversial drug war. The total body count of suspected drug dealers or users tops 6,000. More than 2,000 were killed in police operations, and the other 4,000 died in vigilante or extrajudicial killings. 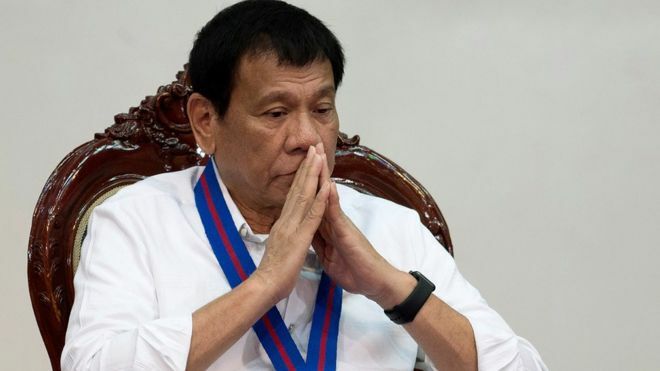 The publicâ€™s distrust and frustration with the system allows Duterteâ€™s message to resonate, said John Gershman, a professor of public service at New York University and an expert on the Philippines. â€œI think he's effectively tapped into this dissatisfaction with the criminal justice system,â€� Gershman said. Let's put it plainly, shall we? f**k THE CIA, AMA, FDA, BIG PHARMA, PETRO-CHEM CORPS, UN DRUG SHEDULE, THE MONEY WASHERS ON WALL STREET & HOLLYWOOD, THE 3 PIECE SUIT WANNABE GANGSTERS AND A GOVERNMENT THAT ALLOWS IT TO HAPPEN. Sessions said prosecutors would have discretion to avoid sentences â€œthat would result in an injustice,â€� but his message was clear: His Justice Department will be tougher on drug offenders than its predecessor. â€œThese are not low-level drug offenders we, in the federal courts, are focusing on,â€� Sessions said. AMEN... The agency`s golden triangle scon ran the opium, herion was produced in another nation from the base. They sell wholesale and quantity. Those with creds, run the deal. They have the backing, the money, the hitters, the entire show. Afhganistan poppy producation is up 60% since our occupation. Think Clinton, Mena Ark, he was deep into the trade, please don`t think they were not backed by the powers on high. When any drug cartel gets big, the boss gets hit or jailed, SOP. The street dealers are punks compared to the wholesalers. The war on drugs will hit on the self employed cartells scumbags, never on the head of the snake. Bigpharma isn`t mentioned, WHY, they have the gov sucklinggs in their pocket as well. It is strange most people know this and turn a blind eye. Billions upon billions are profited from the suffring and addiction. It is a oganized industry, the bottom feeders on the street a small frys. When Iwas a kid heroin was around, yuh, even in the 50`s, the saying was the first shot is free the others cost $$$$$$. Dr Nang Pann Ei Kham, coordinator of the Drug Policy Advocacy Group, speaks to Al Jazeera about the deadly addiction. In Myanmar, thousands of families earn a living farming the crop that feeds the heroin habit of the world's drug users. But not all of the country's opium is smuggled abroad. Pure, cheap heroin is flooding Myanmar's villages, leaving a trail of death and devastated families in its wake. Dr Nang Pann Ei Kham, the coordinator of the Drug Policy Advocacy Group, talks about how the fear of corporal punishment and imprisonment prevents many drug users from seeking help, and the rehabilitation centres where "treatment" is based on religious teachings. Her pressure group includes experts, opium farmers and drug users themselves. "They are the ones whose lives, livelihoods and health are directly affected by repressive drug policies based on criminalisation and forced eradication. Unfortunately, their voices are too often ignored," she explains. "I strongly believe that repressive and punitive approaches only make problems worse. Drug-related issues should be addressed through policies that are grounded in public health, human rights and alternative development."